When I was preparing for my first year fishing on the FLW Tour, the goals I set for myself were primarily performance-related � to make sure I was prepared before each practice period and to diligently work hard to control every controllable factor I possibly could. I figured the results would take care of themselves if I could achieve those goals. The only result-related goal I set was Rookie Of The Year because that is a feat that you only get one shot at. With five events in the books, I have been successful at following my performance goals. Now I'm sitting at No. 1 in the Angler of the Year race with two events to go. At Sam Rayburn, it was about how to manage a large population of fish by communicating and working with another competitor who also found the same fish. Toho was all about abandoning my extensive history at that venue to seek out new water for a day-2 rebound. At Seminole, slowing way down and exploiting a single creek-channel ledge to catch my weight was the ticket. At Grand, overcoming a dismal practice, where I had two days without a single bite, was the challenge I met. Finally, at Cherokee, I had to abandon the dominant smallmouth in favor of my strengths fishing up shallow for largemouth. Each event featured a new set of challenges, but each time hard work, determination and good decision-making allowed me to climb the standings. Yes, it certainly feels good, and it is humbling to see my name on top of the standings in my rookie season at this point on the schedule. But with two events to go I have some of my biggest, challenges ahead of me. Some people prefer to be the hunter instead of the hunted when it comes to this position, but being the one in front is a position I�m prepared for and extremely excited to have the opportunity to defend. 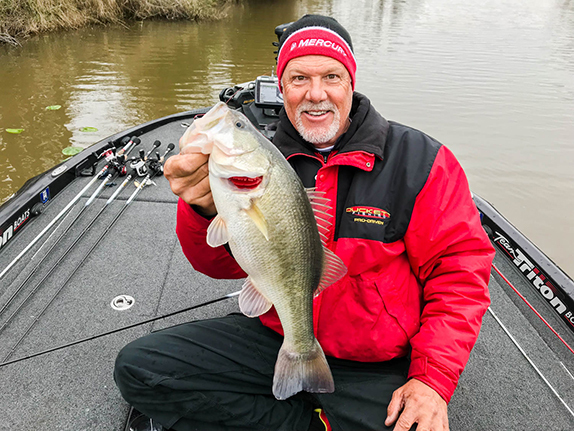 Close behind me are some dominant names, including Scott Martin, who is certainly a favorite when it comes to his history on both Lake Chickamauga and Lake Champlain. Having anglers of that caliber hunting me down is as great of a motivator as any � and is only adding fuel to my competitive fire. 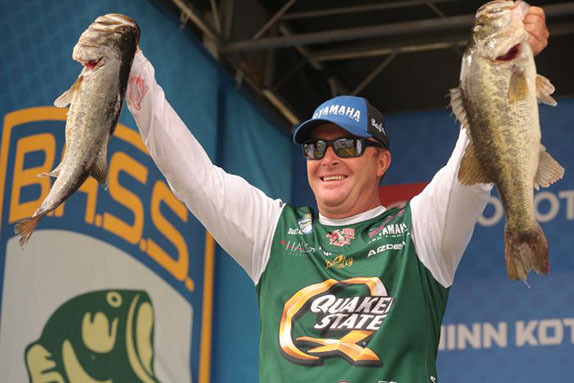 With only 17-points separating Scott and I, and not much more separating me from another half-dozen anglers, these next two events need to be among my best of the season. 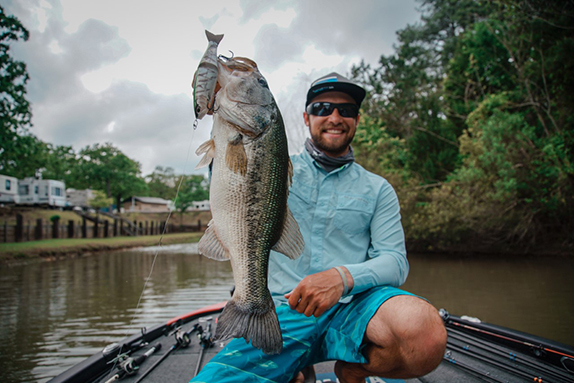 Though I have had some experience on both Chickamauga and Champlain, I don�t feel anything is a sure thing, with both fisheries posing different challenges. Chickamauga is my new home lake, since Katie and I moved to the area in 2017, but part of the reason I moved to the shores of Chick was because TVA fisheries have historically been a weakness of mine. However, I feel I have gained some experience and torn down some of the barriers that I�ve had on these Tennessee River fisheries since I've moved here. My goal is to use my experience to my advantage where viable, but also remain open enough to approach the lake as if I�ve never fished it before if my history is proving to be a hindrance. In any case, Chickamauga is ready to show what it is made of with some of the best bass fishing we will see this season on the Tour. Lake Champlain is also going to fish very well, per usual, but that in itself is going to be where the challenge lies. The events where everyone is catching them can be the toughest to distance yourself from the pack. Another challenge on Champlain will be overcoming my inexperience with smallmouth if the largemouth bite is proving to be less than spectacular. In any case, these are challenges that we face often as tournament anglers, so I'm ready to tackle each fishery and make the decisions necessary to get the finishes I need. It has truly been a dream year on the FLW Tour. To be a rookie and in this position is a real blessing. It's even better because I can validate the sacrifices that Katie and I have made over the years, and I can also now share these milestones with Katie in person, rather than just over the phone. Having her by my side during this journey is essential to my success and we both are eager to finish the year out strong. I�ve spent a lot of time thinking about how I can shift into another gear to finish out the season on top of the standings. In the end, I circle back to the same realization � I just need to keep doing what I�m doing. Ultimately, success is achieved through the process, and so as long as I continue putting 110 percent into controlling everything I can in the tournament process, the results I seek will come. The performance goals I set for myself at the beginning of the season have worked thus far, so I�m going to be true to myself and finish the year on my terms. With ample hard work, and a little bit of good fortune, I just might be holding the big trophy!